Hey Cowboy Show me Your Meat! They also have a 2nd Terra Gaucha location in Jacksonville, which is located at 4483 Southside Blvd….. in Jacksonville, FL. Terra Gaucha has “Chur-ra-Scaria” Style dining…….”Churrasco” means Brazilian BBQ……which is a timeless tradition from the Southern Hills of Brazil. The Gaucho’s would season & roast “skewered” meat over open fire pits, cooking over natural wood fires & use Rock Salt to prepare & season the meat that they would BBQ. This Brazilian BBQ has traveled thousands of miles for you to experience this Authentic Southern Brazilian culture. When you enter Terra Gaucha, your eyes are immediately drawn to the beautiful salad bar. The Salad Bar is an “eye pleasing” experience. Set with white linen cloth, and gold and silver colored bowls, filled with fresh, colorful vegetables, lettuce, salads and meats. Many, many Healthy options available at the Salad Bar. When you place the “green” colored coaster in front of your plate, the “Gauchos” will come over and offer you different selections of fresh carved meat. If you don’t want the “Gauchos” to bring you meat, turn the coaster over…..so that the “RED” side is facing up. Sounded Easy Enough. Dennis then invited me and my guests up to the salad bar. I had already “Checked Out” the Salad Bar before I sat down, so I knew EXACTLY what I was going to eat. That’s a VERY IMPORTANT TIP NATION! ALWAYS….and I mean Always.. check out a salad bar …. Or …. A buffet….. BEFORE you go up to eat. This way, you know exactly what healthy items you will be putting on your plate and you WON’T be tempted by any of the other “unhealthy” choices. I walked up to the “Salad Bar” and placed fresh Spinach, cucumbers, beets and tomatoes on my plate. I added some fresh cold shrimp to my salad and Added some oil & balsamic vinegar to the salad & “Voila” a Healthy, Delicious salad! After my salad, I went back up to the salad bar, and added broccoli and a sweet potato to my plate, to eat with the Delicious “Skewered Meat” that would be coming! I sat down….and placed my “GREEN” colored coaster in front of me. Immediately……a “Gaucho” came over to me and offered me some “Filet Mignon.” I said….YES….of course….and then the Gaucho asked me if I wanted “rare, medium or well done.” I looked at the Skewer…I looked at the Gaucho….and I said……”Medium please” With that….The Gaucho sliced some Fresh, Flame-Broiled Filet Mignon from the middle of the skewer” onto my plate. The Filet Mignon was cooked perfectly! I was like….Wow….these “Gauchos” are fast! I can’t even enjoy my Filet Mignon. I turn around….and Dennis is standing next to me and says…..”Diane, are you enjoying your Churrasco? I’m like…..The Gauchos are coming too fast Dennis. I’d like to finish one piece of meat, before they bring over another one. Dennis Smiles and says…..”That’s no problem Diane.” And with that…..Dennis turns the GREEN coaster over….so that the RED side is facing up. There are many different types of meat available for you to enjoy, as well as fresh, healthy veggies at the salad bar. The main thing you have to do is be MINDFUL. Pace Yourself! Turn the RED Coaster up while you are enjoying your meat! AND…..watch your portions! You can EASILY eat like King Henry the 8th at Terra Gaucha’s. I really enjoyed the Filet Mignon and the Grilled Salmon with Mango Salsa. Two things I would never cook at home. Another Great TIP for you Nation. HAVE items you wouldn’t cook at home or at a restaurant. ENJOY yourself! It’s time to review Terra Gaucha Brazillian Steakhouse. For the fresh, clean ambiance……..Fresh vegetables and healthy choices at the salad bar, AND…..of course…..the perfectly cooked filet mignon and grilled Atlantic Salmon with Mango Sauce….. If you Live in the Tampa area…..or …..are Visiting the Tampa area, go to Terra Gaucha Brazillian Steakhouse. The Tampa Restaurant is located at 1108 S. Dale Mabry Avenue. Go to their website www.TerraGaucha.net to look at the full menus for the Tampa as well as the Jacksonville location. The Tampa location’s phone number for reservations is 813-999-4332. When you go…..ASK for Dennis as your Waiter! Dennis is FANTASTIC! Thank you Dennis for being so observant and courteous to me. All the Gauchos are so pleasant and accommodating. The price for a FULL Churrasco Dinner experience is $42.95. You can order just the Full salad bar for $24.95. Check out Terra Gaucha Brazillian Steakhouse! You’ll have a great time and enjoy a Healthy meal! 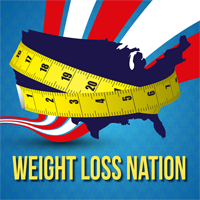 Under no circumstances will Weight Loss Nation LLC. be responsible for any loss or damage resulting for your reliance on nutritional information, orany other information from this site, or the www.TheWeightLossNation.com website. Information is offered as an opinion and information may not be accurate. Due your own due diligence and make your own conscious decisions.